It’s easy to see how iNaturalistNZ belongs to the Living World strand of the Science Learning Area — it is a natural fit with Biology, Zoology, Botany, and Ecology. It also has a strong fit with the Nature of Science (NOS). 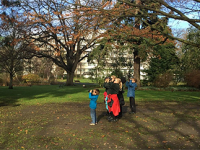 When students use iNaturalistNZ to record an observation, they are doing science. Observation has always been an integral part of science but so are theorising, measurement and experimentation. If students need help with their observation, they will use a (scientific) process that iNaturalistNZ community members go through to identify the species they have recorded. Members will write things like “It’s such-and-such because the leaves are smaller than normal for plants in coastal areas”. This is the way scientists work! Indeed, this happened to Shelley the LEARNZ Teacher. Shelley’s observation of a beech tree included a photo but she could not exactly identify it on her own, as the leaves were different from what she was used to seeing. They settled on an ID of Red Beech. 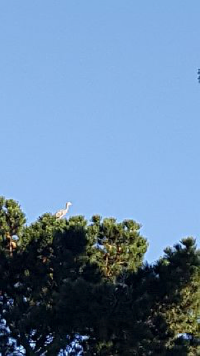 Is it a heron? The perils of working alone. Students working together would soon identify this bird. “Necessity is the mother of invention” as the saying goes. If you can get your school community using iNaturalistNZ, it will develop everyone’s thinking and behaviour as scientists. Consider this recent experience I had. In two places, one in a paddock next to my place and one on the Lincoln to Motukarara part of the Christchurch to Little River Rail Trail, I saw a bird that I think might be a heron. But do you think I can get a good photo of either of them? They sit on the highest branches of trees or a long way off on telephone poles and when I point my camera at them they fly away before I can zoom and focus. Can you imagine students confronted with this real-life problem? I’m sure they would come up with any number of problem-solving strategies. Maybe they will just look at the bird and see if they can make out its physical characteristics. Maybe they will just watch it to see what it does (ie observe its behaviour) and maybe note the way it holds its head or the way it takes off. Perhaps they will take notice of its habitat. Maybe they will borrow some equipment like binoculars. Maybe they will work as team (collaborate) and give everyone a different job so collectively they get as much information as possible from a single sighting! This is all good problem-solving and all good science! 1. Gather and interpret data. When students use iNaturalistNZ to record observations there is no doubt that they are gathering data — a crucial scientific task. Although students could leave it at that and leave the interpretation of their observation to someone else I don’t think that’s what would happen. Because they “own” their data, they have a vested interest in it which is likely to pique their curiosity. Having said that, I think teachers have an important role in getting students to interpret their data and that of others. 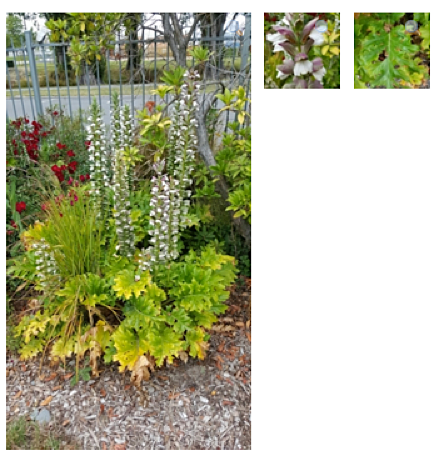 As an example, you may wish to download data from the New Zealand pest plants (weeds) project on iNaturalistNZ and see what patterns students can find, how they might interpret those patterns and how it might spark inquiry. What would students make of these most common pest plants on the NZ pest plants (weeds) project? 1. 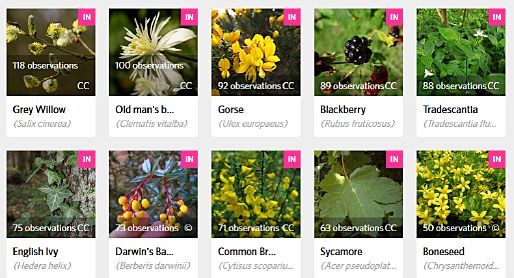 Use evidence … from observations of the natural world. iNaturalistNZ provides students with opportunities to use real-world data as evidence to support their ideas and those of others. Although I think, the onus is on students to come up with their own ideas, I think teachers have an important role in helping students to make generalisations, to see patterns and relationships, and to formulate hypotheses. 2. Critique evidence. iNaturalistNZ is a great platform to investigate the trustworthiness of data. The social media nature of the platform and the moderation processes mean there is likely to be an in-built level of trust that data is accurate. However, students are likely to quickly wonder to what extent data is complete. For example, have a look at this map showing the distribution of totara, automatically generated from a iNaturalistNZ observation that was GPS tagged. Are there really only two totara within the square mile of the four avenues of central Christchurch? I don’t think so but that should lead to other questions about the extent to which a single observation is useful and what scientists can do with it. 3. Interpret representations. Students observations in iNaturalistNZ are automatically displayed on Google maps, showing the distribution of a single species by default. Each of these maps is crying out to be interpreted and discussed, especially if it is for an area where their classmates also live. Does a particular map accurately represent the distribution of that species? Is that important? Once again, teachers have a role to play in guiding students, organising discussion, and helping them to ask questions which lead them on a journey to finding answers (or more questions!). 4. Engage with science in “real life” contexts: students taking an interest in science issues, participating in science discussions and maybe taking action. In my opinion, the mere act of students going out in the field and using iNaturalistNZ to record observations is a “real life” context. Once you have got past a few spiders becoming legless and the odd insect fried under a magnifying glass, students are likely to ask each other some really good questions and have some lively scientific discussions. Why haven’t we found any frogs by the pond? How come there are so many insects by that bucket of water? Is that plant a weed? 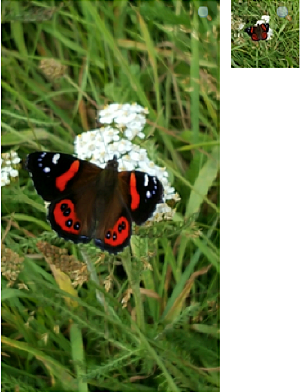 How come that native butterfly is on an introduced plant? Whether this leads to students taking action is a moot point but I would argue that they have already taken some action when they recorded their first observation. It doesn’t get much more “real life” when the locations for recording observations are places like school or home or school camp. There is a huge amount of data that is openly available to analyse on iNaturalistNZ, and even more on the international platform, iNaturalist. It may be highly motivating for students to analyse iNaturalistNZ observations collected as part of a school-wide project. Barrie’s observation of Acanthus mollis, not endemic or native but a plant introduced here by humans. At secondary school level, students can get credit for this in the context of Level 1 eg AS91035 “Investigate a given multivariate data set using the statistical enquiry cycle”. At Level 2, there are opportunities to download and use iNaturalistNZ data collected by others eg AS91264 “Use statistical methods to make an inference”, and AS91265 “Conduct an experiment to investigate a situation using statistical methods”. There is more at Level 3, including the open-ended AS91583 “Conduct an experiment to investigate a situation using experimental design principles”. At primary school level, there are many ways iNaturalistNZ data could be used to explore Number and Statistics concepts. When you look at Why study Maths? and Why study Science?, iNaturalistNZ provides opportunities for combined activities. One possibility is for students to classify their observations as Endemic (found only here), Native (came here naturally) or Introduced (brought here by humans). They could classify and count each type, represent their results, generalise about the biodiversity in their school grounds and maybe even take some action such as creating a habitat for native species. When anyone uses a smartphone to record an observation, with GPS enabled and turned on, part of the data contained in that observation is its location. One of the beauties of GIS is that data can be captured and then be exposed to a web application so that people have clear visual representations that easily show multiple trends in space and time. Have another look at the map showing the distribution of totara, automatically generated from iNaturalistNZ observations that were GPS tagged. Also, watch a video showing GIS in conservation which sets the social context and then overlays native birds, vegetation, terrain, fences, and pests like rabbits and stoats so decisions can be made about a black-billed stilt conservation project. Take a look at this statement from the New Zealand Curriculum on Social Sciences Online: “The social sciences learning area is about how societies work and how people can participate as critical, active, informed, and responsible citizens“. 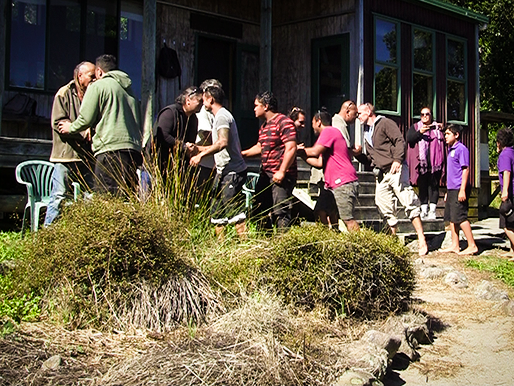 Using iNaturalistNZ enables us to see how a part of society works – an online community. It also enables us to actively participate in our local, national and global communities (by recording observations). Using iNaturalistNZ helps us to become informed (in the first instance, via feedback from others about our observations but later by observing patterns in the data such as a lack of native species in a particular place). Learning about and following the formal rules and being part of the culture of iNaturalistNZ can help students to become responsible citizens. Lastly, the information on iNaturalistNZ can add to a student’s knowledge base as they critically evaluate the society they live in. iNaturalistNZ is a place for the community to store data but also a place where research can be fed back to the community who provided the data. iNaturalistNZ scientists are getting back to me with an example of an analysis where iNaturalistNZ data is being used in research to inform decision-making. I hope in this series of blogs that I have inspired you to try iNaturalistNZ for yourself. I also hope I have inspired you to try iNaturalistNZ with your class or your school and showed where students can self-direct but where the teacher’s role is important. I hope I have made a plausible case for using iNaturalistNZ as a multi-function educational tool in schools and as a tool for personal lifelong learning in the 21st Century. Will innovative learning environments work for everyone?